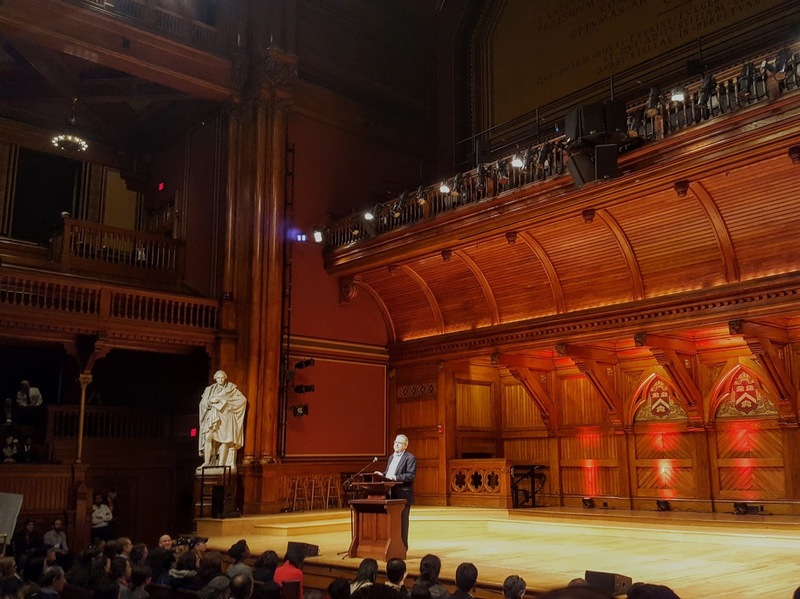 The Harvard Social Enterprise Conference gave us time and space to engage with a variety of people working in the social enterprise field, affirming and making us think critically about a lot of the work that we've been doing on our campus. 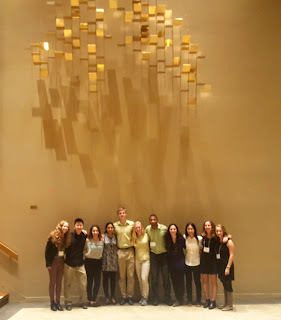 NMH brought a group of ten Rhodes Fellows to the two day conference where attendees included professors, undergraduate and graduate students, and professionals operating across a wide spectrum of interests. The conference opened with two keynote speeches from Andrew Kassoy, founder of B Labs and Michael Brown, the CEO and co-founder of City Year. Kassoy and Brown pushed us to consider how we can redefine our current institutions and structures, with shifting priorities towards a true triple bottom line. Across the two days, we each were able to select five sessions to attend in addition to they keynote speeches. Isabella Lombino '18 and Heidi Leeds '18 both went to the pitch competition. Isabella noted how she "was able to see how effective different presentation techniques were, which will help my presentations and pitches in the future. Afterwards we were able to talk with some of the entrepreneurs about their companies and their work." Heidi commented that "it was interesting to compare how they boiled down complicated enterprises into just a two minute speech. I learned different strategies about how to present to engage the audience but also get across as much information as possible." 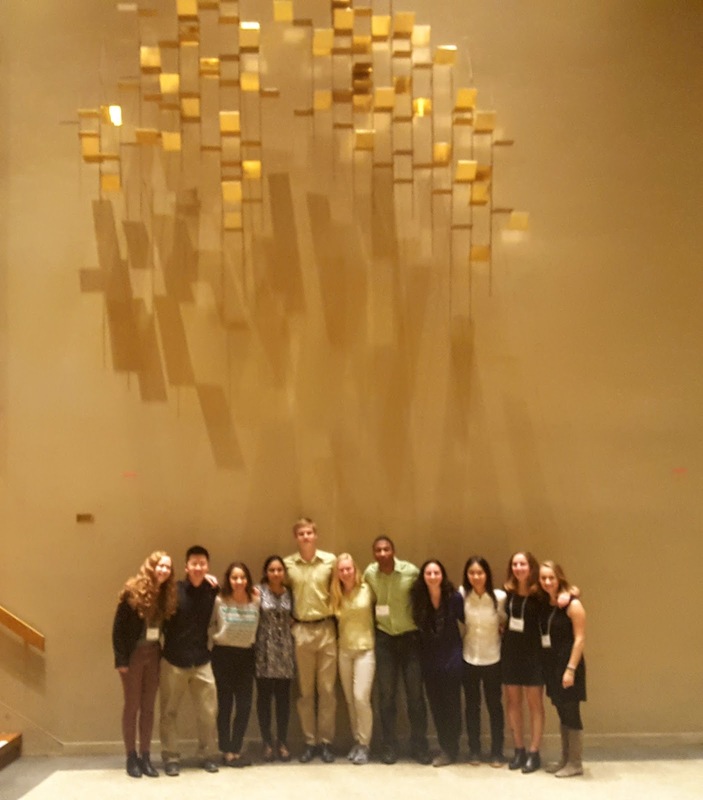 Gaelin Kingston '18 appreciated the conversation around holding organizations accountable to both its funders and its workers in the Business Models for Sustainability session. Many of us were impressed by the discussion in the early Saturday session, "Innovation in Education: A Global Perspective." The panel included Jaime Saavedra, former education minister of Peru, Lant Pritchett, an economics professor at the Kennedy School of Government, and Pranav Kothari, Vice President of Large Scale Assessments and Mindspark Centres. During the Q&A, the panel and the audience went back and forth on what improving education should look like for those at the bottom of the charts globally. Other themes and topics from the conference included innovation without westernization, creating financial and legal structures, systems entrepreneurship, and using technology for positive social change. We ended the conference with a keynote talk from protester, activist, and educator Brittany Packnett. Packnett is vice president of national community alliances for Teach for America and a co-founder of Campaign Zero (a comprehensive policy proposal to reduce police violence in the US based on community and activist input, research and rigorous data). Packnett called on the audience to remember that social entrepreneurs can succumb to paternalistic attitudes and approaches, asking us all to be "accomplices" and not just "allies." Finally, it was great to run into Katherine Dumais '11 who is working in the social enterprise field with B Labs. Thanks for sharing your insight with the group Katherine! Book Review: "How to Change the World, Social Entrepreneurs and the Power of New Ideas"